Why couldn’t her “Invulnerability” Limit Save her? Character deaths are a part of RPGs. The NPC deaths hit us hard in a story perspective but seldom do they actually impact the overall gameplay. But character deaths, that’s a whole different matter. Many RPGs have moments where characters die, or the party thinks they are dead. This can impact the game in a variety of ways, beyond just actual game mechanics. I’m looking at this list from the perspective of the first playthrough and will be a combination of storytelling thoughts and game mechanics. There were some characters/moments I wanted to include, but were either too obvious or were just ridiculous. 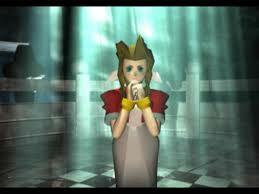 Aerith makes the runner up list because personally, I liked her Limit Breaks. My very first playthrough, I had no idea she was going to die, and my party was Cloud/Tifa/Aeris for almost that entire portion of the game. One sword-stroke later, and I was out a major party member. Another runner-up is Fire Emblem. Just… Fire Emblem in general. Any party death in Fire Emblem is inconvenient and requires you to start over to keep them (meaning you have to redo a minimum 20-30 minute fight) or lose them forever. The farther back you didn’t save, the worse it’s going to feel. Any death in Fire Emblem is soul-crushing. In Final Fantasy Tactics, at least you can’t lose Guest characters and have three turns to get back your main characters before it’s Game Over/permadeath. 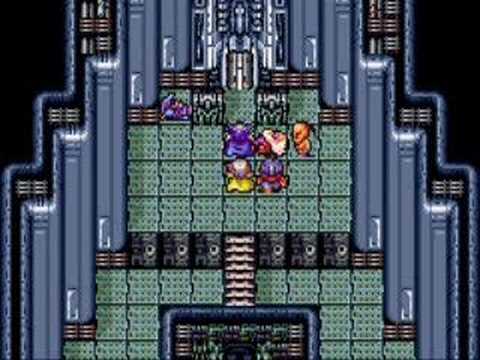 Final Fantasy IV has a ton of character deaths, but I had to pair it down to the one that affected me the most personally. What about you? What are your most inconvenient character deaths? Let me know! 5. 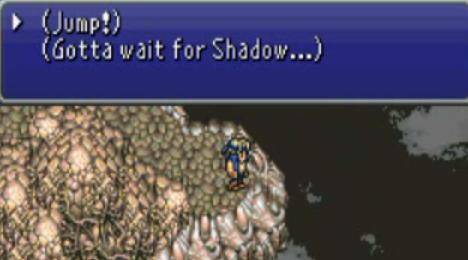 Shadow (Final Fantasy VI): Shadow/Clyde Arrowny is the dad of Relm Arrowny, that precocious little tot that was left with Strago in Thamasa. During the World of Ruin, sleeping in inns will give you the backstory to the character, to give him some depth. Beyond that, he’s just a mysterious assassin with a badass dog. Most of the times he joins the party, he leaves randomly, and it’s more often than not shortly after he appears. Shadow has left me with a party of 3 more times than I care to admit. So many that I no longer pick him up the first time he’s optional. In his last appearance in the World of Balance though, you have the option to wait for him on the Floating Continent. Doing so will mean you can recruit him permanently in the second half of the game. Failing to do so, and it’s assumed he dies. I love Shadow as a character, and his Throw ability has saved my bacon. Thankfully, I had a strategy guide and knew to wait for him. But there are people that don’t know that this choice can prevent him from ever coming back to your team again. Don’t leave Shadow behind. We could have just beat up Golbez, but nooooo. 4. Tellah (Final Fantasy IV): Now personally, Tellah is one of my least favorite characters in the game. He’s useless for most of the time he’s with you. His magic is mediocre, his mana pool is depressing. The first time he leaves, he leaves you with just Edward, and Edward’s even worse than Tellah! Edward has zero redeeming qualities until after he’s left the party for good, and that’s a sad indictment. On Mt. Ordeals, when Cecil becomes a Paladin, Tellah’s magic unlocks and he becomes the Sage he was before he lost his memory of magical powers. He still has a worthless mana pool, but now he can cast almost every spell in the game. Once this occurs, you have him for one or two dungeons, and he throws his life away for revenge! It doesn’t even stop Golbez, only stalls him. Tellah casts Meteo, even though it would spell his demise. This is a tragic, sad moment, but Tellah is also a great deal of your damage with level 2/3 magic. So you have to go on with Yang and Cid! Yang is okay, and Cid is fine once he has the Earth Wrench. But you have no magic worth anything until Rydia comes back. RIP, Johan. You were the best of us. 3. 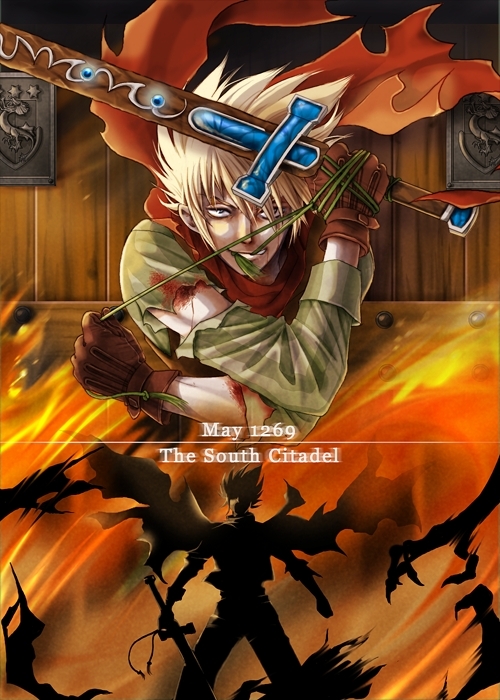 Johan (SaGa Frontier 2): I haven’t played a SaGa game in ages, so I don’t remember as much as I’d like. But SaGa Frontier 2 I believe had several character deaths worth mentioning. In particular, though, Johan was probably my favorite character. He was a badass and second-guessed the lifestyle he was leading, as a member of the Red Scorpions. Johan joins you with incredibly powerful gear, the War God role, and most of the awesome techniques in the game. But he doesn’t stick around for long enough. He felt like the Thunder God Cid of this game, only he dies. Amazing in every way, but you get him for about a chapter before he throws his life away for Gustave. At the Southern Fort, the coolest character in SaGa Frontier 2 (arguably) dies. 2. Lufia (Lufia and the Fortress of Doom): Unlike its sequel, you don’t really switch characters in Lufia and the Fortress of Doom. Once they’re in the party, they’re there to stay. That is, until the closing moments of the game. 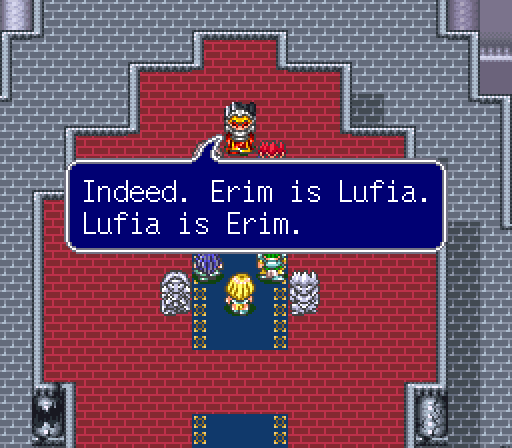 Lufia’s real role as Erim, Sinistral of Death becomes revealed, and you have to do battle. You must battle the Sinistrals a party member down because the sweet girl that was with you the whole game turns out to be the Sinistral of Death. This is heart-breaking, because Maxim’s potential love-interest is a Sinistral, and as long as she lives, the Sinistrals will be reborn again and again. So she has to die. You must do battle with the Sinistrals without her, and it’s challenging, it’s frustrating, and it was heartbreaking. This was one of the first games that made me genuinely feel something. I’d have enjoyed having a cool bee around all game. 1. 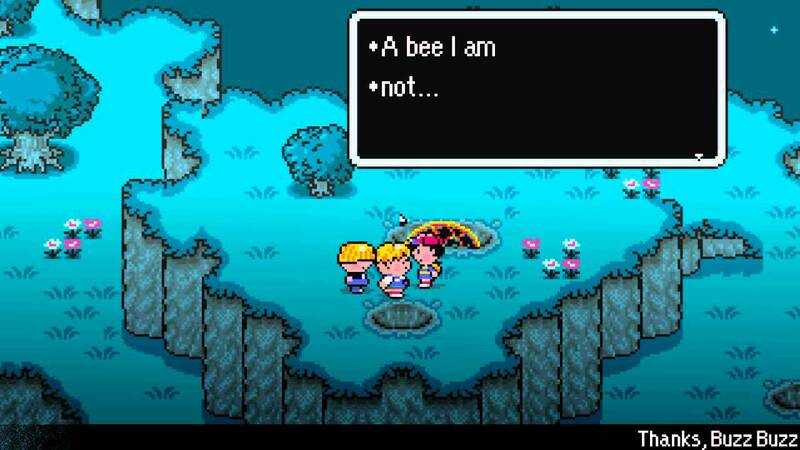 Buzz Buzz (EarthBound): Some of you might laugh at this one, but yes, Buzz Buzz takes the cake on this list. Buzz Buzz is a bee from ten years in the future, who came back to put Ness on the course to defeat Giygas and save the world. This boy, maybe ten years old has to set out in the world with his bat, and budding psychic powers, to save everyone. He might not make it back alive from the events he’s prophecized to endure, but Buzz Buzz is here to help. He aids you in the first major battle, so you can figure out what a boss battle will feel like, against the Starman Jr. Porky and Pickey can’t go with him, and his dog won’t, so it’s up to Ness alone for a long time. If that doesn’t hit you right in the gut, I don’t know what will. It’s a shame that he dies to Porky’s mom… but EarthBound is a unique game for a bunch of reasons.